Warning! Culture geek level is pretty high in this post. I’ve probably made mistakes and omissions, but this is a tricky subject to pin down. Please feel free to correct and add to this. Discussions are the lifeblood of a blog. It is a rehash of a point I made two years ago on my danish roleplaying blog, which had some specific references that made it quite the touchy subject. But none of that now, this is just some observations that I have about larp and how it fits in contemporary culture. Typical features include a deliberate mixing of different artistic styles and media, the self-conscious use of earlier styles and conventions, and often the incorporation of images relating to the consumerism and mass communication of late 20th-century postindustrial society. Postmodernism shows us a world without grand narratives or black and white understanding. It is in it’s nature fragmentary, incomplete and incompatible. It is at the same time a rebellion against modernism and a cycling back into it, themes carry over and new postmodern theories become the target of deconstruction themselves. It states that there is no great truths to be found underneath, everything is just layer upon layer of human understandings. The deeper we dig, the more we just find ourselves. It might seem a bit depressing, but it is also empowering of the individual and gives new avenues of change. As postmodernism rejects the notion of universal truths and objective experience and declares that everything has to be subjective. There’s nothing to be found outside of the individual and her sense of the world. You can’t experience a larp except as a subjective participant. You have no way of experiencing the entirety of a game, as the experiental output happens simulatenously to all participants. It’s leaves you with just your own limited sense of the thing. There’s a movement in culture that continuously lessens the distance between artist and audience, catalyzed by the internet and social media. Instead of the author creating a work in a vacuum before handing the completed work to the consumers, there’s now an ongoing dialogue between the two sides. Indeed in a lot of culture, the participants move between consumer and creator all the time. Larps do not exist without the consumers taking part of it. You can’t have a larp without players contributing to it, except as a thought experiment. Likewise, you cannot consume larp without becoming part of the creative contributions to it. A big element in postmodern is the breaking up of big coherent pictures into fragments that then become recombined in new and surprising ways. Larp is all about fragments, every game exists as a fragment of a larger figment, every player’s experience is a fragment of the whole. We use and remix elements from popular culture and our own community, to make our games. And the games will always contain unexpected twist and occurences that become part of the whole, as the players take the game into their own hands. A big theme in postmodernity is looking at things as social constructions. How things we experience as natural or obvious are actually an expression of the culture we inhabit, our understanding is always culturally determined. Roleplaying is all about shaping cultures, every game has some sort of cultural scaffolding that holds it up. And we play with them, tweak them, use them, break them. It’s an awesome laboratory to see how we can create new social orders and which parts of them are so ingrained we can’t even get rid of them while being orks. Postmodern art doesn’t just explore inside the box, it takes the box apart and sees if it is really the only possible container or if it might become something other than that. And there’s no limits to how much you can deviate from the traditional, all rules are meant to be broken. It’s the exploration itself that becomes the goal, rather than the resulting work. Larp has a strong tradition of taking itself apart and looking at it’s own entrails. We consistently try to remove every essential bit to see if we still have larp and break all the rules we set for ourselves. We move forward not only by adding new content to larps, but also by altering the forms we play by. A new thing identified on the postmodern scene is that culture has stopped following a linear timeline. As an example: Istead of music building directly on the previous generation, musicians now base themselves on any era of music instead. You have all sorts of anachronistic communities and events, such as steampunk and burlesque. Larp has always stolen from the past, for settings, stories and characters. We combine cultural elements from the medieval times with modern concepts in our fantasy games and play science fiction with baroque societies. A strong trend is also to discard the purely physical location as a factor, just as with time. Coca Cola is a universal phenomenon and we follow japanese cultural trends. Nordic Larp just made the leap out of meatspace and into the post-geographic, by becoming a style in many countries, rather than just the four original ones. We accumulate according to interests and subcultures across geographical boundaries. While larp still takes place in a localized setting, the trend is for participants to come from quite far away to participate in games that interest them. And the setting of the game will probably not have much more than surface relations to the actual place it happens in. Larp simply would not work without these elements, it wouldn’t have been able to grow without the premise of the postmodern. While there are and have been many things akin to larp, which conform to older models, they could not be larp, as they lack the fundamental nature of postmodernism. Something else that is interesting to me, is that while a lot of other similar cultural trends have sprung up following the opportunities of web 2.0, larp has had many of these qualities from the start. We have as many others been catalyzed by social media and become able to connect across a larger and larger area, but the core concepts of larp are the same. And we don’t just do our thing across the internet, larp is a meatspace thing. And technology is still very far from removing that factor. Larp is postmodern and I love it for it. One thing that really satisfied me at this year’s Knudepunkt was how the discourse had moved. From geeks demanding that their games were art, to artists discussing the practical premises of larp as an artform. We’re not entirely there, the How To Communicate Larp to a Mainstream Audience debate still took a lot of time agreeing that larp is actually a medium. We have an awful lot of opinions on what larp is, but I think the term has almost congealed into a consensual entity of it’s own. At least as far as the KP crowd is concerned. And having a stable platform to look at ourselves from gives us a chance to start picking the thing itself apart. Not all larps have to conform to the same set of identities, just as not everything shown on a movie screen is the same. We’ll start to learn more once we accept the differences inherent in the medium and accept both sides of the divide as equally valid. A larp is not lesser because it has no artistic intentions, nor is it better. What is interesting is looking at how the artistic angle affects the larp and how it being a larp makes a statement about art. Every medium has it’s own spectrum of content that it does well, from pure clichéfille entertainment value to artistic explorations of the form itself. Both sides feed into each other. Images, themes and techniques move back and forth across the medium. Creators learn from each other. And every medium can be deconstructed, removing bits and pieces that seem essential to defining it, as an artistic excercise. We’ve had plenty of larps without characters, immersion, suspension of disbelief, setting, narrative, etc. Pretty much every aspect that we have as a central element in larp. So it’s hard to pin down exactly where each medium lies, especially when it comes to the artistic side of things. But! Johanna MacDonald’s contribution to Nordic Larp Talks did a great job of laying down the differences between larp and the closest artistic relatives in performance art and theatre. It’s really about the perspective of the aesthetics, the observer being part of the work or there is no work. That you have to create it to consume it, there is no observer position from which you can merely consume. Even the most advanced performance art struggles to actually include the audience in the work on any level close to larping. It is the special position of the larping audience that Mike Pohjola explores as well, digging up a lost tradition of theatre that echoes what we have in larp, the participatory audience. The priviledged position of being immersed into the experience as a part of it, rather than outside it. This special position of having to be part of the work in order to experience it can be a barrier of understanding, when it comes to the broader world. It has been interesting to see the swedish cultural debate regarding Just A Little Lovin’ in which an art critic questions whether a larp can deal with sensitive issues, when there is no clear author and it is framed as a game. It showed some deep problems with larp being treated as art. Read Tore article documenting the debate in this year’s book. There is the legitimacy issue, how can something that is traditionally a game take on hard subjects and deal properly with issues? Leaving much of the creative input in the hands of an undirected group of participants, how do you even begin to have artistic integrity of the work? The ethics of participating in larp is another issue that comes up when we have to look at it as art that deals with real issues. What are the implications of taking on a role that mirrors real tragedy? How do we relate to the issue afterwards, when confronted with the real thing? It is very hard to discuss a larp from the outside, since you can’t look at the actual work, only the stage directions and second hand stories. And if you choose to participate it becomes very hard to be objective of the experience as you yourself was part of creating it. In order to understand it, you must surrender to it’s point of view and build on it. This is a high barrier to the usual art discourse, in which the commentators and critics can consume the works from afar. So don’t expect anyone to understand it as art out of hand. 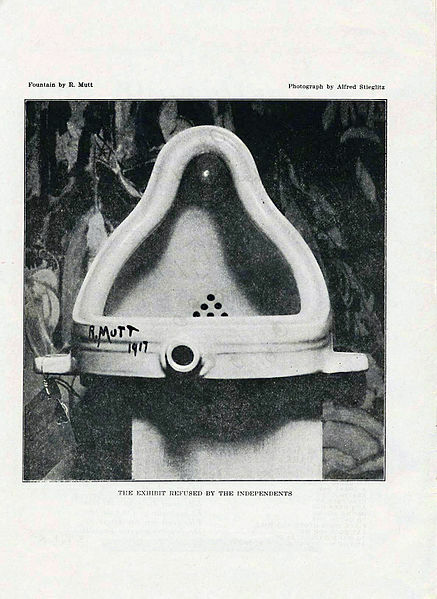 You can’t force a thing to be art by demanding it (Marcel Duchamp excepted.) Only by a serious and continual creative effort, will that elusive label be a natural part of the thing itself. This effort requires that the works have actual artistic merit and frame of reference, which have been sadly lacking in the amateur community so far. But we have everything we need to both create and attract working artists, within the larp community. And let the controversies roll! Every major addition to the definition of art has started out being declared non-art or just plain wrong. We won’t get anything out of rolling over on our backs and waiting for the art discourse to take us in. We have to stake a claim and hold it long enough to convert the heathens if we want larp to be art on it’s own terms. In general this Solmukohta was for me a wonderful change of tone. From the previous situation of academics making studies and declarations on the nature of larp, we’re now seeing more artistic and cultural perspectives and experiments with the form. Being culturally angled myself, I felt a lot more comfortable participating in serious discussion without having read Habermas. Let’s open up the field of how we look at and discuss larp and keep the artistic endeavours coming.